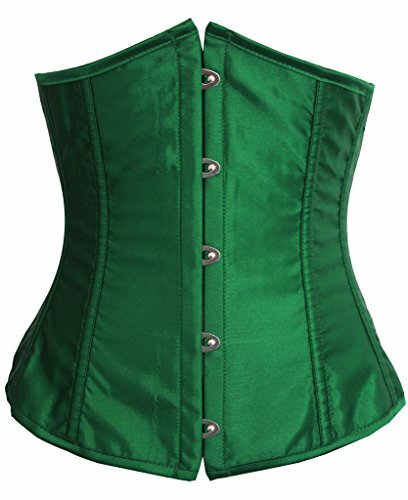 Our corsets are made with the highest quality satin and strong plastic boning,which are perfect for bridal lingerie, night dating,clubwear,official place, burlesque, steam punk, wedding dresses, Halloween costumes,or any intimate setting.Please read carefully the size instructions to pick the right corset size. How to put on a corset by yourself? 1. Loosen the laces so that you can put it on comfortably. 2. 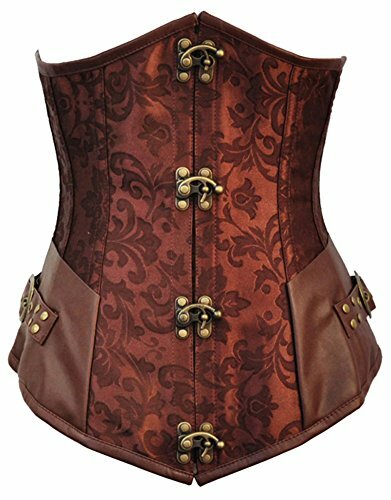 Carefully line up the two sides of your busk on the front of the corset. Line up the pins and the holes and clip the busk together. 3. Tighten the lacing. Starting from the top. Next, go to the bottom of the lacing and pull the laces tighter there. Then working the bottom half of the lacing tighter. 4. Tie off the loose lacing on the back of your corset. 5. 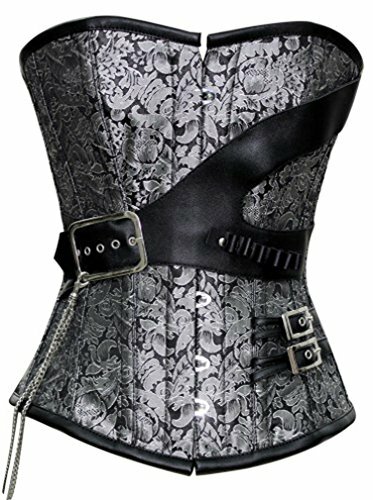 There is a panel at the back of the corset which you can use to cover up your back under the lacing(optional) or fold it into the corset for a more exposed look for your back under the lace up. 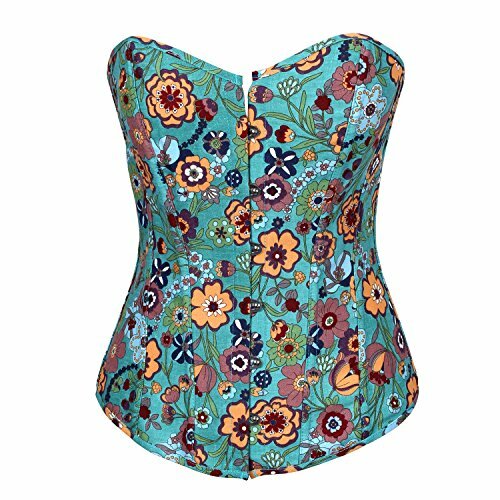 A two tone corset with stretchy shoulder straps, made of jacquard, this piece includes a front zipper and lace-up back for easy dressing, matching g-string. About Size Chart Size Chart(cm) S/Waist: 59.5-62 M/Waist: 63-65.5 L/Waist: 66.5-69 XL/Waist: 70-72.5 2XL/Waist: 74-76.5 3XL/Waist: 78-80.5 4XL/Waist: 82-84.5 5XL/Waist: 86-88.5 6XL/Waist: 90-92.5 Size Chart(inch) S/Waist: 23.4-24.4 M/Waist: 24.8-25.8 L/Waist: 26.2-27.2 XL/Waist: 27.6-28.5 2XL/Waist: 29.1-30.1 3XL/Waist: 30.7-31.7 4XL/Waist: 32.3-33.3 5XL/Waist: 33.9-34.8 6XL/Waist: 35.4-36.4 Please use our own Size Chart guide located on the left of the product image do NOT use the Amazon size guide Please choose the upper size if you are not quite sure about the sizing.